In the beginning, there was Sunriver. And it was good. It was very good. Sunriver Resort, which was built as a World War II training post called Camp Abbot, became Oregon’s first big resort back in the 1960’s. It wasn’t alone, though it was certainly the best known of the group. 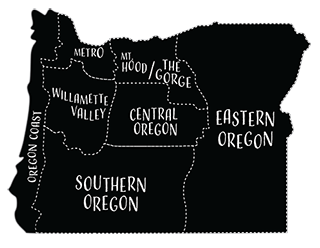 Early resorts in Oregon include Black Butte Ranch outside of Sisters, Salishan Resort on the Oregon Coast, Tu Tu’ Tun tucked away on the Rogue River in Southern Oregon, and Resort at the Mountain in Welches (now known as Mt. Hood Oregon Resort). Sometimes glory fades. Sometimes it’s reborn again and again. At Salishan, one of Oregon’s first and most reliable resorts, that rebirth is taking place as we speak. It’s hard work keeping a coastal resort looking good—the wind and the rain of the Oregon Coast can weather even the newest buildings. Salishan went into bankruptcy and receivership in 2015 and was bought by a group that has invested millions of dollars into a renovation and reimagination of the resort. 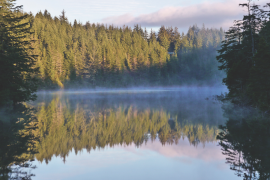 It still has the tennis courts and the Peter Jacobson-designed golf course, but today Salishan is encouraging eco-tourism such as kayaking and stand-up paddleboarding. The resort is also focusing on wellness, with yoga and a full-service spa. Tu Tu’ Tun is one of those low-slung, glorious spots that doesn’t interfere with the beauty of its site. 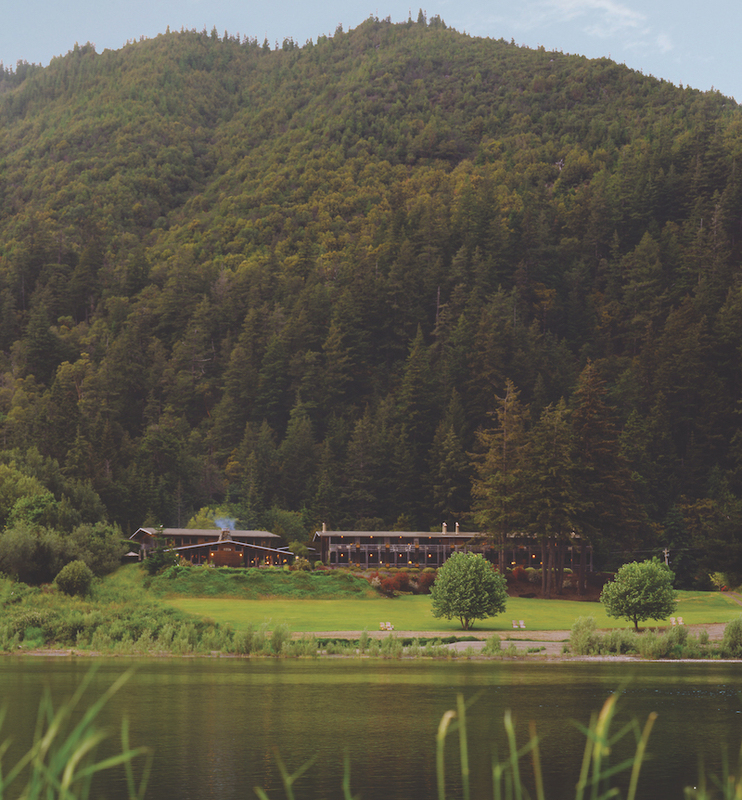 The lodge on the Rogue River near Gold Beach opened in 1970, and it’s been quietly delighting visitors ever since with its off-the-grid, get-back-to-nature vibe. There are spa services, of course, but there are also opportunities to ride jet boats, go fly fishing or rent sea kayaks. Better yet, the resort has a link on its website under activities that suggests you “do nothing,” then provides a pile of photos of people sitting on the property sipping wine and looking at the views. Either way, this is the kind of place that will call you back, again and again. Sometimes glory fades. Sometimes it’s reborn again and again. At Salishan, one of Oregon’s first and most reliable resorts, that rebirth is taking place as we speak. 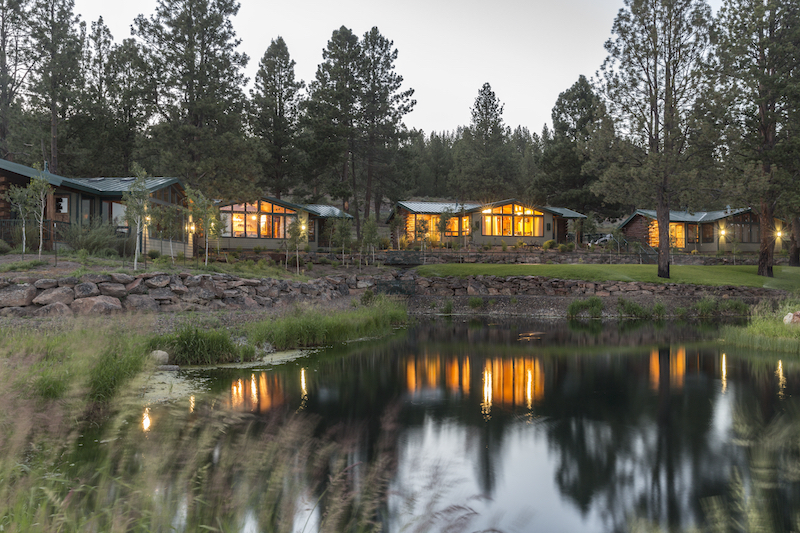 Black Butte Ranch is a timeless location perfect at any time of year. If you need a winter pick-me-up, Black Butte will probably have snow. If you need some sunshine, it’s likely to deliver year round. 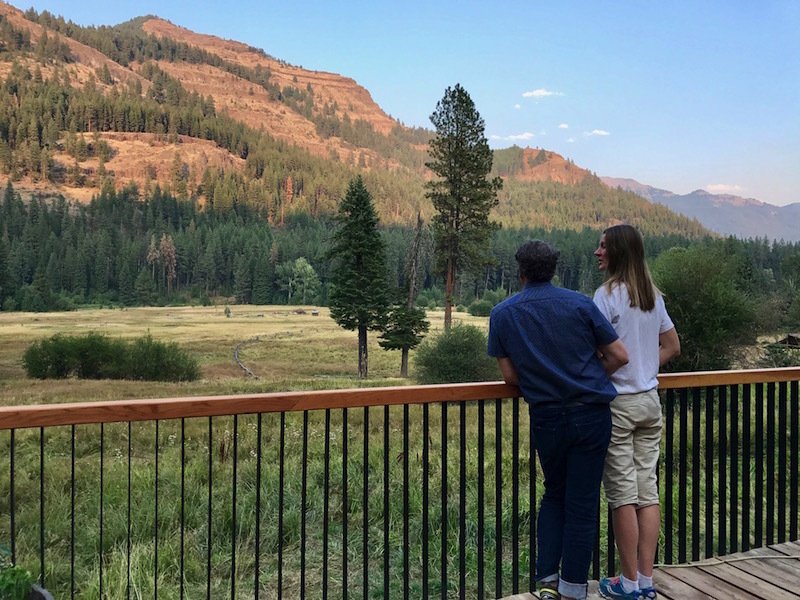 It’s traditional— two golf courses, tons of lodging options, a spa and good dining—but there is always a place in our hearts for a resort where, in the span of several days, you can go skiing, ride bikes, ride horses, sit in a hot tub and go hiking. Finally, a quick mention about The Chateau at the Oregon Caves— this longtime favorite closed in October 2018 for renovations and is scheduled to stay that way for up to two years. But when it reopens, you should put it on your list. The chateau was built in 1934 as the rustic hotel next to the Oregon Caves National Monument, and its lobby has a double replace and gigantic exposed wood beams. It’s truly extraordinary, and even with a facelift there’s no doubt it will continue to exude that Southern Oregon rustic charm. 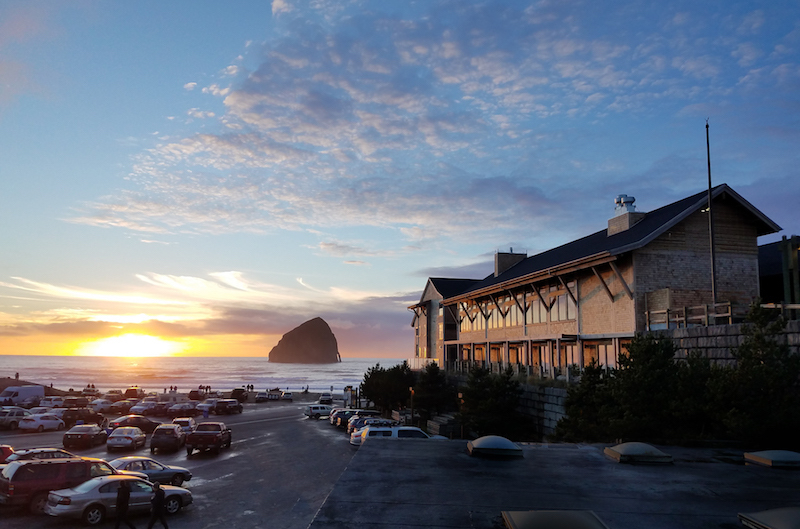 Opened in mid-2018, Headlands Coastal Lodge & Spa in Pacific City is about as good as it gets. Every room has an ocean view, and that includes a view of Haystack Rock (not THAT one, guys—there are actually six Haystack Rocks in Oregon and three on the coast, and the one we’re talking about here is less famous for The Goonies and more famous for being impossible to see when there’s fog, which is often). The lodge is steps from Pelican Brewing’s brewpub, but Headlands has enough amenities that you may never even make it out the door. The spa offers all the usual treatments, and Meridian’s menu is filled with fine dining dishes and great wine and cocktails. Many of the rooms have deep, clawfoot bathtubs, and all have cozy Pendleton blankets and gas replaces. Swing by the honor- system pantry and pick up Oregon- made snacks, then curl up and watch the waves. Silvies Valley Ranch has been operating as a cattle ranch (and a bunch of other weird schemes over the years) since the 1880s. But last year, the ranch added a thirty-four room eco-resort called The Retreat, Links & Spa at Silvies Valley Ranch. King beds, private log cabins, and a recently added full-service spa all combine to make this spot luxury with a Western twist. You can hit the golf course, go on an authentic cattle drive, try your hand at the shooting range, or get out and explore the thousands of acres around you. If you go golfing, please indulge in one of the resort’s goat caddies, which are exactly what they sound like. Oregon’s resorts can be great for a getaway, and many are also perfect for your big event, weddings included. We came up with a list of resorts that will wow you with event options. There are 80 acres and twenty specialty gardens on this site, which means if you can dream it, the resort can likely achieve it. This spot also specializes in indoor winter weddings. 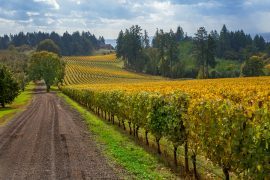 You’ve got 35 acres of hillside smack dab in the middle of Oregon’s wine country to work with—and the resort also features on-site gardens, local wines and incredible food. Out in the high desert, you can get married on an island that seats up to 300 guests. That’s just the start of the options for events at this full-service resort. big day. If you seek the perfect Instagram-worthy barn as a backdrop, you’re going to want to check out Brasada. The state of Oregon has nine casinos, all of them tribal-owned and operated. After federal law changed in 1988 to allow gaming on tribal lands, the Cow Creek Band of Umpqua Indians were the first to test the industry. What started as the Cow Creek Bingo Hall in 1992 morphed into Seven Feathers Casino Resort—and paved the way for the casinos that now dot the state. Each does something well. Herewith, a rundown of what to try at each of Oregon’s tribal casinos. 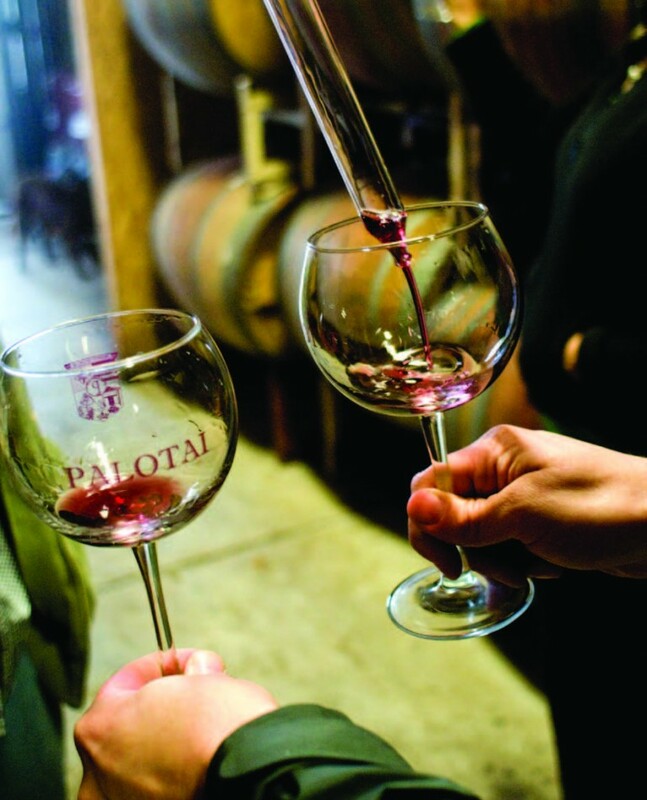 This place, operated by the Coquille Indian Tribe, is a hotspot for the southern coast. The newest addition to the facility is Warehouse 101, a big sports bar with lots of large TVs and plenty of craft beer. This casino has two locations, one that is primarily a casino and the other, in Florence, with a golf course and a hotel. That means double the chances to win. 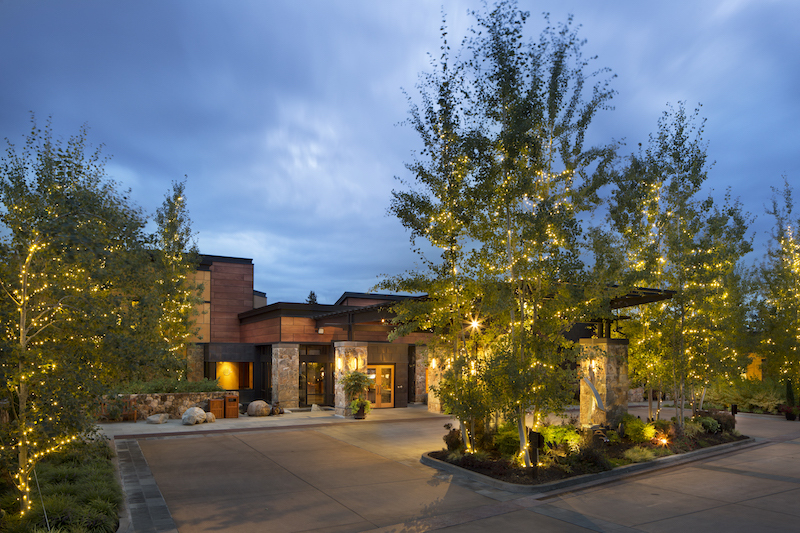 The grand dame of the Oregon tribal casinos has something others can’t boast—River Rock Spa, a full-service salon and spa offering massages, facials and a variety of other services as well as packages. With the recent closure of Kah-Nee-Ta, the Warm Springs Indian Reservation’s longtime resort, Indian Head is now the reservation’s main draw. The benefit of Indian Head is that it’s right on U.S. Highway 26, while Kah- Nee-Ta was 14 miles from the highway along winding roads. It has lots of gaming and opened in 2012, so it still feels new. It also just opened a travel center. This is the littlest casino of the bunch, and it opened in 1997. It’s a welcome respite from the long drive up or down Highway 97, because it just added a travel center and a Sleep Inn hotel. a Play Palace and a huge arcade. It also offers the most non-gaming options, with a golf course just steps from the casino and a fitness center. Spirit Mountain has made a name for itself by bringing the best entertainment acts of any of the casinos. You’ll find well-known musicians, comedians and other entertainers all the time at this casino. it out with a five-screen cineplex. 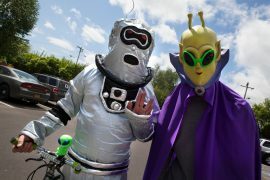 Oregon is full of surprises. By extension, Oregon’s resorts are full of surprises, like the goat caddies already mentioned. Here are a few of our favorites. 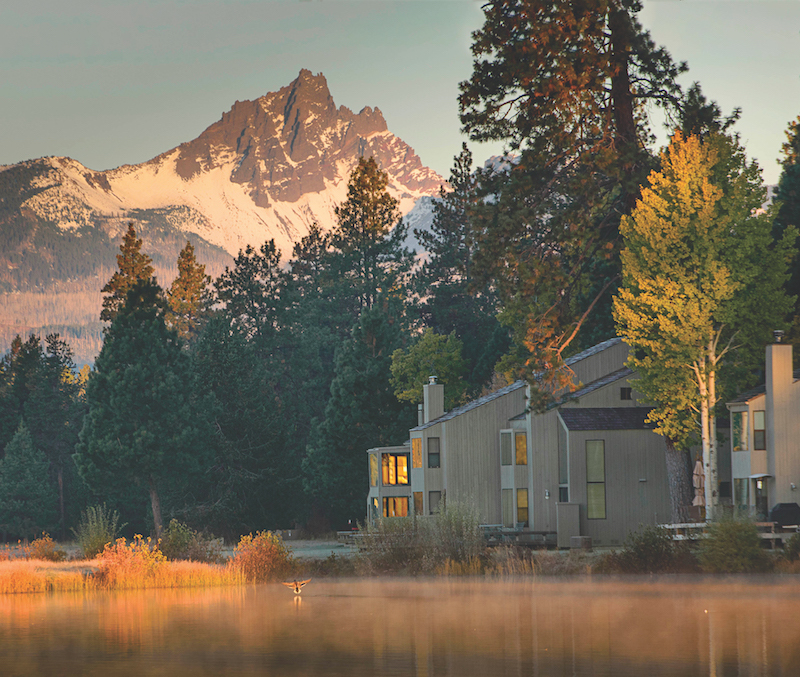 By now, you’ve heard of Minam River Lodge in the Eagle Cap Wilderness. This secluded spot in Eastern Oregon isn’t easy to access, but that’s the point. Once you get here, by air, foot or horseback, you will have the types of options that make sense in a spot so far off the grid—horseback rides, endless hikes and whitewater rafting. But one of the most unexpected parts of this spot is its meals, intimate, family-style and filled with fresh, local ingredients. The meals foster a sense of community even when you’re far from paved roads, and that alone is worth the trip. 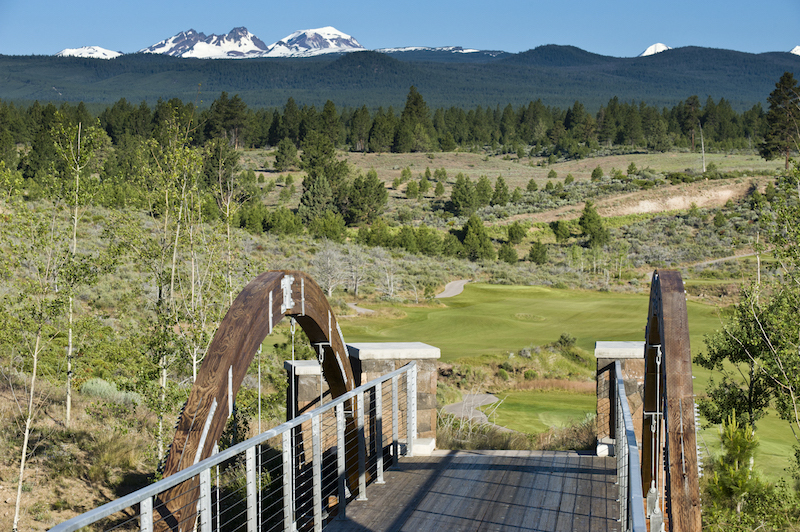 At Tetherow Resort in Bend, you can combine golfing and surfing. For an extra $20, you hit the links with a GolfBoard. Stand upright on the board, strap your golf bag on and choose from two speeds to zoom around the course. It’s a great way to speed up play and it cuts down on damage to the grass. Bonus—it’s just a lot of fun. WildSpring Guest Habitat in Port Orford is an eco-friendly retreat that just about oozes romantic getaway charm. The Southern Oregon Coast serves as a backdrop to an outdoor hot tub under the stars, and all the peace that comes from a secluded spot. 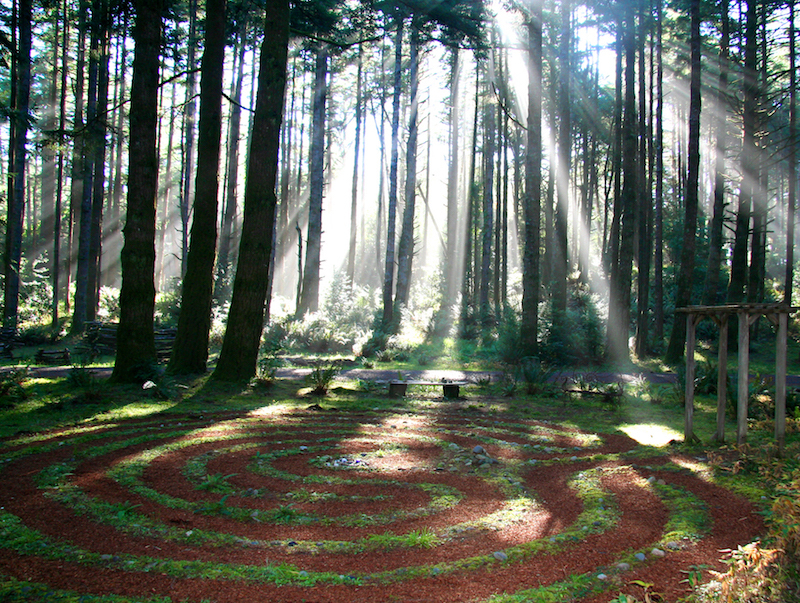 One way you’ll want to center yourself here is in the seven-circuit labyrinth tucked away in the woods. Why can’t I print article?